Germany has an easy objective: Get Russia. An attack on UK can only succeed if the UK player is very stupid and major mistakes. Try to take Karelia if possible. Kill as much of the UK fleet. Reinforce Africa and try to take it with Italian help. Find a balance between holding France and advancing on the Russian front. 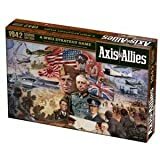 If all Allies plays against Germany, get enough defensive forces and wait until Japon can kill Russia. Purchase air units and ground troops (tanks and infantry) for the Russian front. or choose if you want to buy a carrier to protect your the Baltic fleet, else you better spread your ships. Take Karelia and stabilize your eastern front. Karelia and Caucasus, which is a National Objective. France is important too as it gives UK and US extra income when you loose it. Egypt is the key to gain Africa. They should help Germany to defend France, to get Africa and on the southern eastern front. Its limited resources usually only allow to support two of those three objectives at most. Italy is hard to reach for the allies. Try to help Germany in everything. Avoid that your fleet don't get killed. Make sure your your forces are not spread too far. Focus on the most important objectives. If the USA comes to the Med sea, ask Germany for help. Two infantry and 1 artillery. or 1 transport and 1 infantry. or 1 infantry and 2 tanks. Depending on the German and British moves attack on Egypt, Trans-Jordan, Gibraltar or Ukraine. Egypt and everything needed for the National Objectives to get a higher income. Since they start before the USA, they must make sure to gain momentum on the mainland and the big ocean. Try to get troops and production capacities on the mainland. Place a factory in French Indochina or Burma and establish a transport bridge to Manchuria. If the USA neglects Japan, build more factories on the mainland and go for India. If the USA goes Pacific, max out your carrier capacities and get submarines. Try to get factories in India and East Indies to produce troops towards Caucasus each turn. If the US neglects Japan, then send some fleet to the Med Sea and send fighters over for defense. Three transports and 2 tanks. or 2 transports and 1 factory. Kill the UK and US fleet. Take as much of China as possible. The Chinese air unit should have a high priority. India is a national objective. Australia and Hawaii are also options but India has a better production and is good to build a factory. 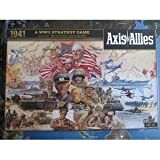 It is the starting power and the crucial front in Axis and the Allies. You need to find a good balance between aggressiveness and defense. Push Germany back to lose income. Try to move dead zones west and gain income of territories. Try to deter the Japs to come closer. Send more troops to Berlin or Rome and defend against Japan. Take Belorussia, Eastern Ukraine and Ukraine. or Baltic can be an option if you try to hold Karelia. A bomber can weaken the SZ13 in the Med Sea. Karelia and Caucasus are German national objectives. Karelia is difficult to hold, so you might give it up turn 1. Make sure not to loose Caucaus as it is difficult to take back. Avoid getting crushed on all fronts. Try to hold Egypt. Try to hold India as long as you can. Your allies will have to help you and the UK is the nation that needs to take pressure from Russia. Consolidate your forces all over the world. Bring your transport from Africa to the med sea, your Australian fighter to India, Hawaii or Madagascar. Once you have a fleet Germany can't sink, built 4 transports and 8 land units each turn to land in France and Norway. Or land in Poland, Baltic or Karelia if you want to help Russia. Stick with your objectives and try to invade German or team with Russia. One carrier and destroyers and 1 fighter. Depending on Germany's turn, common landing targets are Morocco, Norway, France and Karelia. Sink the German Baltic fleet. If Germany bought a carrier, make sure they can not sink your fleet or land on the UK. Move your units that are spread all over the board and consolidate Africa and India. Egypt is important as you don't want to lose Africa. India should delay Japan as long as possible. France should be your main playground. Try to fulfill your national objective: hold Gibraltar, Egypt, South Africa, Australia and Canada. If you choose to go Pacific, you will most likely need air units, carriers and subs to fight the Japanese. If you go Atlantic, you get just as much fleet as you absolutely need to protect the transports. Don't loose too much time. Build up a fleet and max out your transports. Establish a steady flow of landing units. You need at least 8 transports when you decide to attack Germany or Italy. When you capture Italy, try to avoid Germany to take it back its turn. When you attack Japan, make sure to have enough cannon fodder for sea battles. or Pacific attack: 2 carriers and 1 fighter. Depending on what happend before, landings on the Solomons or Morocco are possible. But often you only prepare landings. Solomon Islands and France because they are national objectives. The Carolines are in range of everything that's important.